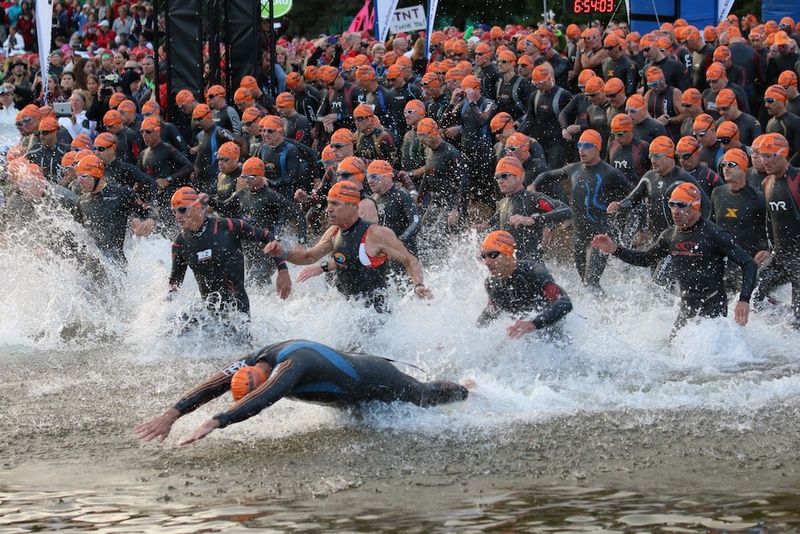 If you are like me, you can literally feel the energy in these athletes as they launch themselves into the water. After weeks and months of training, focus and discipline, they are finally able to race. And yet almost 90% of triathletes will fail to reach their goals because they prioritized fitness instead of strategy. How to train for triathlon, how to build my biggest fitness vehicle. What’s the latest carbon aero whizzbangery I can buy for my fitness vehicle that will solve all of my problems. However, there are comparatively few conversations about how to apply that fitness to race day. About how to RACE! I wanted to thank you for helping me become an Ironman in Lake Placid last weekend. I’m not a member of the EN team (a necessary financial decision), but I did purchase an Out Season and In Season plan as well as the course talk. Along with those and the 4 Keys DVD, I drilled your philosophy into my head for many months and it paid off. I also attended the lecture at the theater on Friday before the race and was still learning details up to the last minute. I can’t tell you how many times I watched the 4 Keys DVD either in whole or in segments and when race day came, all day long I reminded myself of the 4 keys! When the gun goes off, the race doesn’t care how fit you are. Rather, success is 100% a function of how well you drive your fitness vehicle around the course. Since 2007 we have used this formula to help thousands of athletes achieve their performance goals. In addition to our training plans, we have collected hundreds of race reports and podcasts related to each venue. We have held training camps on these courses and spectated / raced almost every single one of these events. The result is an unmatched set of course-specific advice that helps our Members be their best on race day. For 2015 we have decided to make a small fraction of these resources to the public, as a demonstration of our commitment to create the best and most comprehensive training and racing resources for our Team of over 700+ athletes. Find your race below and click on the image to view a sample of our current resources for your next big race. Get our insider coach tips for your race via a video presentation. Read one of our many race reports for your race. Listen to a post-race podcast interview with our of our athletes. Find and RSVP for our FREE on-site Four Keys presentation at your next race. If you can’t find your race below, consider signing up for the Endurance Nation online Race Execution seminar. Can’t Find Your Race-Specific Resource Page? Or maybe you want to get a head start on your long course triathlon execution game? Please click the image to register for our FREE Race Execution seminar! Looking for Endurance Nation RaceRank™ or SufferLevel™? You can find our race-related resources on the EN website here. Don’t forget to check out our Podcast and YouTube channels.